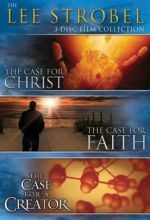 This three-disc collection includes three films by Lee Strobel: The Case for Christ, The Case for a Creator, and The Case for Faith. 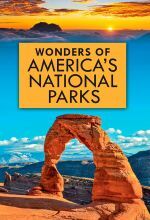 Wonders of America's National Parks will transport you to 11 parks that are too awe-inspiring to miss. Unlocking the Mystery of Life is a fascinating journey into the interior of a single living cell . 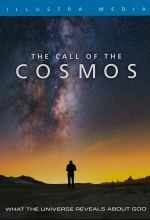 The Call of the Cosmos is a stunning exploration of the universe, God, and His relationship with humanity. 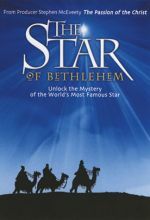 Scholars debate whether the Star of Bethlehem is a legend created by the early church or a miracle that marked the advent of Christ. Could it be that the star was the result of an document-able cosmic event? 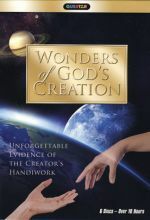 Presenter Rick Larson walks you through Biblical, historical and scientific clues revealing the incredible significance of this celestial event as well as the vastness of God's creativity. One night. One hope. One nation under God. Where is our country heading ... and what can we as Christians do to help set the right course of direction? 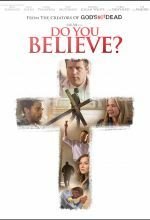 Nearing a pivotal marker in our nation’s history, Kirk Cameron realized God has given His children a timeless message for such a time as this. 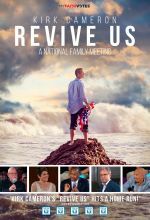 Featuring teaching, worship, prayer, and thoughtful discussion, Revive Us challenges believers to faithfully lead the way. Kirk turns to Scripture to offer encouragement, reminding us there is still hope for our great nation. The time is at hand for God to Revive Us. 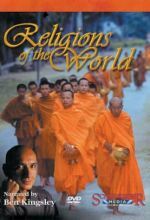 This six-part series offers insights into the striking similarities and vast differences among the world's major religions. With stunning computer animation, interviews with leading scientists, and spectacular images of earth and cosmos, discover deeper truth about earth. 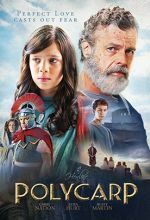 Under the rule of Roman oppressors, a small group of early Christians must stay true to their faith no matter the cost. Most archaeologists today have concluded that there’s no evidence that the Exodus of Israelite slaves from Egypt ever happened. Filmmaker Timothy Mahoney embarks on a 12-year journey around the world to search for answers. 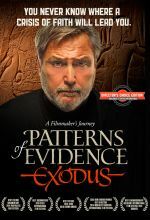 Patterns of Evidence: The Exodus unlocks the mystery of this ancient saga, combining a scientific investigation with a retelling of the Exodus story to reveal an amazing pattern of evidence matching the biblical account that may challenge our understanding of history. 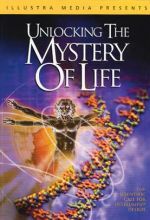 This long awaited sequel to Illustra's landmark documentary, Unlocking the Mystery of Life, challenges the paradigm of scientific materialism and the belief that life is nothing more than the product of blind, undirected processes. With spectacular computer animation and cutting-edge research, ORIGIN examines a question that has baffled science for centuries: How did life on Earth begin? The Monarch, known as the King of butterflies, goes through 4 life cycles, the egg, the larvae, (caterpillar), the pupa (chrysalis), and the adult butterfly. In March and April, the eggs are laid on the milkweed plants in North America. However, Monarch butterflies cannot survive cold weather, so they migrate in October or sooner to Mexico and Southern California. Monarch butterflies are the only insects that travel 2500 miles away from their birthplace. Learn more about Monarch butterflies in this beautifully-filmed documentary. 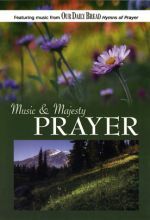 From kingly mountains to wave-beaten coastlines, Music & Majesty: Prayer is filled with vision of the creation that will help you turn your eyes to the Creator. 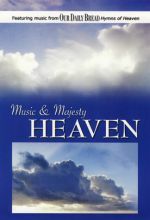 From rainbows arching through fleecy clouds, to afternoon sunbeams gilding misty pine forests, the images in this DVD will turn your eyes to the God who made all of creation. 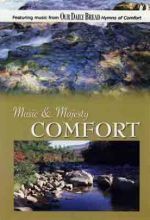 Music & Majesty: Comfort beckons you to step aside and find solace and peace in God. 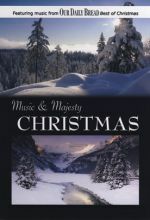 This Christmas DVD features rich instrumental arrangements of some of the most beloved songs of the season. 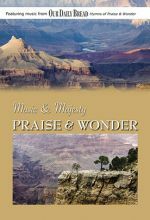 A feast of sight, sound, and scripture designed to help you celebrate the meaning and glory of Christmas. Follow the mysterious and beautiful life cycle of the butterfly though this unforgettable documentary film. Featuring spectacular photography from the lush rainforests of Mexico and Ecuador, video computer animation and new magnetic resonance imaging. 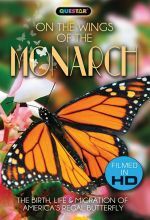 This documentary opens once hidden doors to every stage of the butterfly's life cycle including the seemingly miraculous annual migration of the Monarch butterfly. 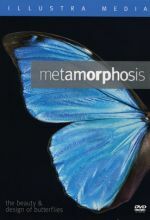 Metamorphosis will fill you with wonder and joy as you discover the intricacies of God's creation. This breathtakingly beautiful documentary chronicles the heroic and harrowing journey that emperor penguins make amid subfreezing temperatures and violent snowstorms at the South Pole in order to mate. 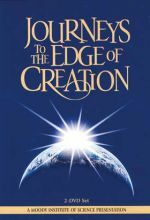 ﻿Take a break from the noise of daily life and experience this collection of meditations on the natural splendor of God’s creative power and the brilliance of His inspired Word. 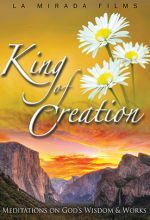 King of Creation transports you to magnificent locations around our beautiful planet and universe for an unforgettable encounter with the maker of heaven and earth. Beloved scripture from Old and New Testaments are underscored by poignant renditions of enduring hymns. Eight segments. 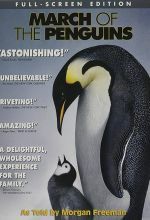 Includes on 2 DVDs: Our Solar System / The Milky Way and Beyond. The cosmos! A vast frontier of seemingly infinite wonder and size. Now you can see it unfold before your very eyes. Marvel at the magnificence. Thrill to the diversity as you soar effortlessly among the planets, through blazing brilliant galaxies. 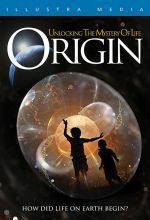 Join scientific experts in this timeless quest for discovery, enhanced by amazing tools of astronomy that draw the deepest regions of space into clearer focus than at any time in history. Made by the producers of The Wonders of God’s Creation. For the past two decades one theory has challenged the scientific establishment and Darwinian evolution-the theory of intelligent design. 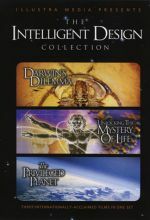 The Intelligent Design Collection includes three programs which examine the scientific debate about the origins of life. 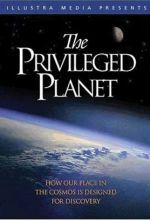 Collection includes: Darwin's Dilemma, Unlocking the Mystery of Life and Privileged Planet. These three internationally-acclaimed films are now available for the first time in a special 3-DVD set which includes more than six hours of feature programming and bonus material.